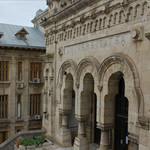 The most important institution of higher education in the South-Eastern part of Romania! More than 65 years of academic tradition! More than 200 partner universities from 22 foreign countries! Modern academic curricula focused on students! HydroEcoNex international network, composed of: Institute of Zoology, Ministry of Education, Culture and Research, Chisinau, Republic of Moldova (Leader Partner) and the partner institutions – International Association of River Keepers „Eco-Tiras” (Chisinau, Republic of Moldova), "Dunarea de Jos" University of Galati (Romania), the Ukrainian Scientific Center of Ecology of the Sea (Odessa, Ukraine), and the Hydrometeorological Center for Black and Azov Seas (Odessa, Ukraine) - organised on 28th of November 2018 at "Dunarea de Jos" University of Galati, Faculty of Sciences and Environment, the launching seminar of the project with the eMS code BSB165, entitled „CREATING A SYSTEM OF INNOVATIVE TRANSBOUNDARY MONITORING OF THE TRANSFORMATIONS OF THE BLACK SEA RIVER ECOSYSTEMS UNDER THE IMPACT OF HYDROPOWER DEVELOPMENT AND CLIMATE CHANGE”. 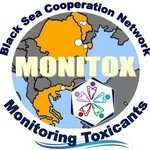 MONITOX interdisciplinary network, composed of: „Dunarea de Jos” University of Galati (Lider Partner) and the partner institutions – Institute of Zoology, Chisinau, Republic of Moldova; Eastern Macedonia and Thrace Institute of Technology, Kavala, Greece; Institute of Geology and Seismology Chisinau, Republic of Moldova and Danube Delta National Institute for Research and Development, Tulcea, Romania – organises on 2nd of November 2018 the launching seminar of the project code eMS BSB 27,entitled „Black Sea Basin interdisciplinary cooperation network for sustainable joint monitoring of environmental toxicants migration, improved evaluation of ecological state and human health impact of harmful substances and public exposure prevention” - MONITOX. Academics, researchers, practitioners, and experts in the field of Internationalization are cordially invited to submit research papers, articles case studies, posters to the International Conference Multidisciplinary HUB for the Higher Education Internationalization by Means of Innovative Interaction with the Labour Market and Society which will be organized by "Dunărea de Jos" University of Galati, Romania on 26 -27 October 2018. 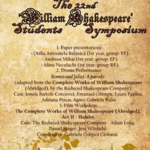 Organised yearly by the Department of English of the Faculty of Letters of “Dunărea de Jos” University of Galați, the Students’ Symposium “William Shakespeare” is a cultural event meant to bring together students and scholars interested in Shakespeare studies. 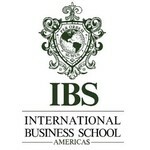 International Business School – Americas (IBS - Americas) offers opportunities for undergraduate and graduate students to attend their programmes in U.S.A. (California and New York), in Europe (Italy and London – United Kingdom) and in Brazil, under a partial scholarship programme. The scholarship covers 70% of the tuition fees and subsidizes part of accommodation as well.